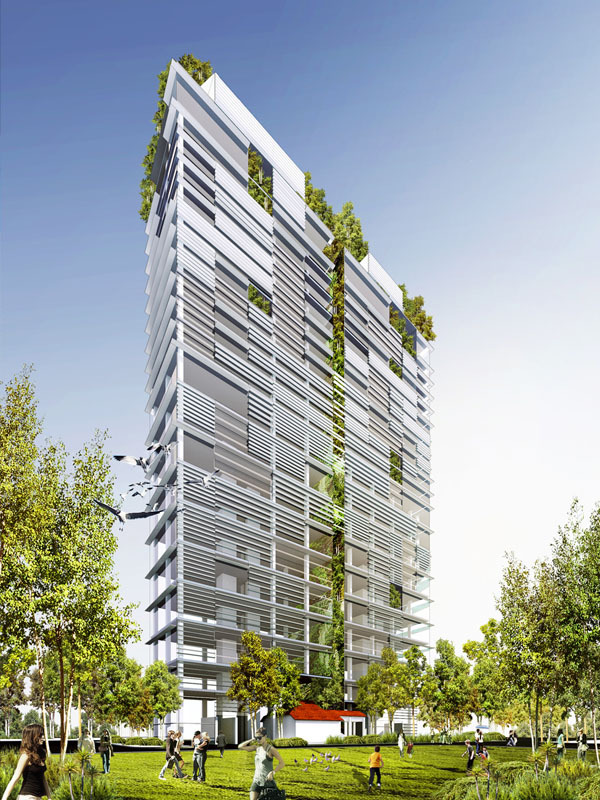 Another prestigious project by the green architect Dr. Ken Yeang. Although his UMNO Tower's giant mast was blown away by strong wind and fell to the ground causing 2 deaths recently, this does not stop Dr. Ken Yeang from continuing to produce quality design that is suitable for the tropical climate. The beauty of this design comes from its sleek form with dynamic horizontal lines interspersed by vertical landscape; an architectural feature that is consistent in most of his work.